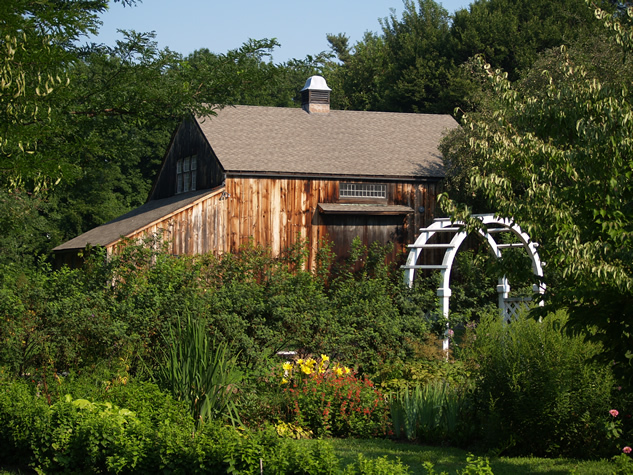 The Webb-Deane-Stevens Museum is the caretaker of another remarkable building besides its houses: the nineteenth-century Webb Barn, located at the rear of the property behind the Colonial Revival Garden. The building serves the museum as a setting for education classes, lectures, meetings and other special events. It is also available for weddings, reunions and corporate gatherings (see Weddings & Event Rentals). Little is known about the original Webb Barn. It is not mentioned in historic records until after the property was purchased in 1821 by Martin Wells, a lawyer and later a judge in Wethersfield. On March 2, 1840, the Hartford Daily Courant newspaper reported that: “On Saturday morning the barn of Martin Welles, Esq. was burned to the ground, with two horses and a cow….the fire was undoubtedly the work of incendiaries. The citizens have offered a liberal reward for their apprehension.” According to Welles’ receipt book, in June 1840 he started the construction of a new barn — presumably on the same location as the original. The present building was moved back 30 feet in 1921 and has had a series of additions and renovations completed by the Colonial Dames to serve their needs. In the 1930s, three wings on the north, south and west sides were added using iron hardware, wood timbers, and floorboards salvaged from other 19th century barns. 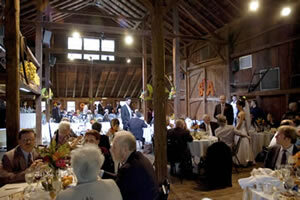 While the Webb Barn today still retains much of its historic ambiance and rustic charm, it is spacious enough to accommodate up to 135 people for a sit-down luncheon or dinner and contains up-to-date lighting, mechanical systems, restrooms, and a catering kitchen.